The essence of our organization exists in the human spirit – the spirit and passion of those that serve and the spirit and determination of those who accept our services. We are dedicated to raising awareness of our cause and serving those in need. In this section you will find all that you need to know about our people, mission, history and frequently asked questions. If you want to learn more about our organization, just follow the links for more information. It’s extremely important to us that you get to know more so that you feel comfortable working with us. Once you take the time to find out what we’re all about, we are confident you will want to be part of the work we do. Our program got its start inside a California prison. We were a small group of prisoners serving long sentences and life terms who came together to create a support group for men like us. The objective was to brainstorm strategies that we could learn from and use towards obtaining freedom through the parole board and/or the judicial process. Our committed group would meet every Sunday on the recreation yard's bleachers. As word spread, our numbers quickly grew. Through sharing case law related to life sentences and discussing self-help methods, the group continued to come together and a some of the men even gained their freedom. "It's never too late to change" became the tag line for the incarcerated and formerly incarcerated participants doing this work toward freedom of the mind, body and spirit. Once we officially incorporated our efforts as a 501(c)(3) non-profit organization in 2013, we became known as Timelist Group, Inc. We started as a group of men doing a lot of time in prison who offered a long list of programs to our peers in the struggle for brotherhood, connection and freedom. Additionally, prison policy requires that a prisoner's name be on a official participation list in order to attend self-help programs. The founding members visited each housing unit to post a sign-up sheet to ensure all those with a desire to change their lives could take the first step by adding their names to the list. To this day, we have remained true to our roots and continue to build support group circles and offer courses designed to address the various social and cognitive behavioral problems many incarcerated individuals face. We are a diverse team that includes individuals with lived experience who have survived long term incarceration and are now successful role models, mentors and leaders. Richard is a ex-gang member who served 20 years in prison. 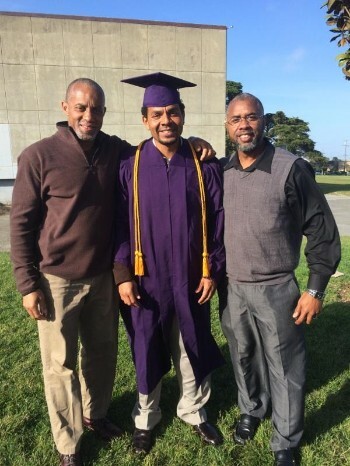 After his release he earned a Master of Public Administration from San Francisco State University, with a focus in nonprofit management. He currently works in the Bay Area helping formerly homeless individuals maintain stable housing.